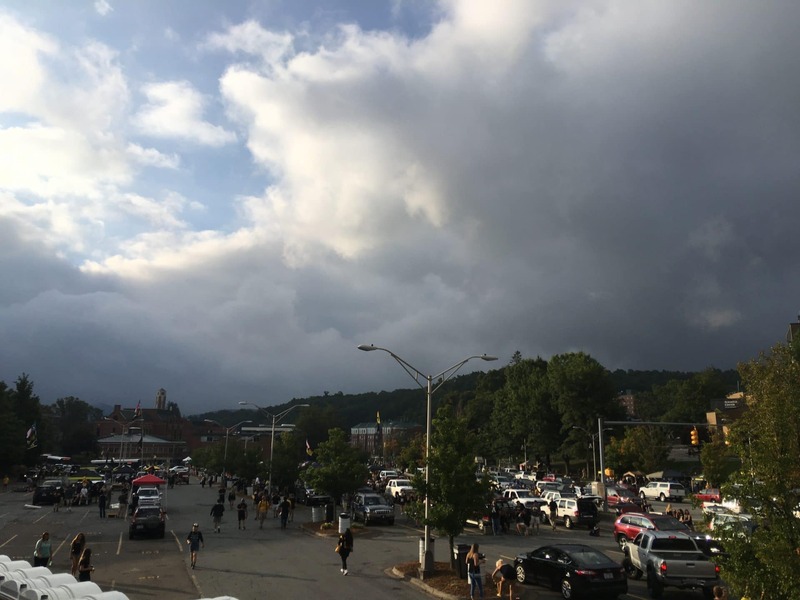 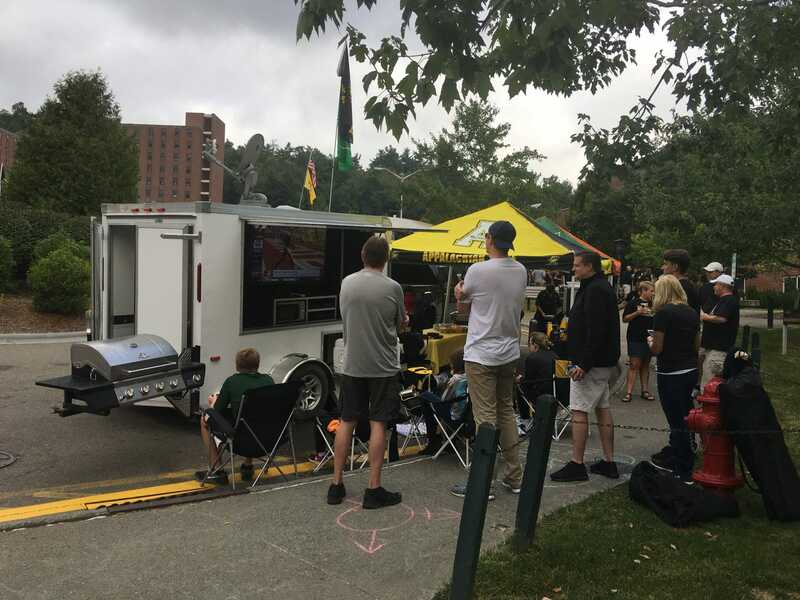 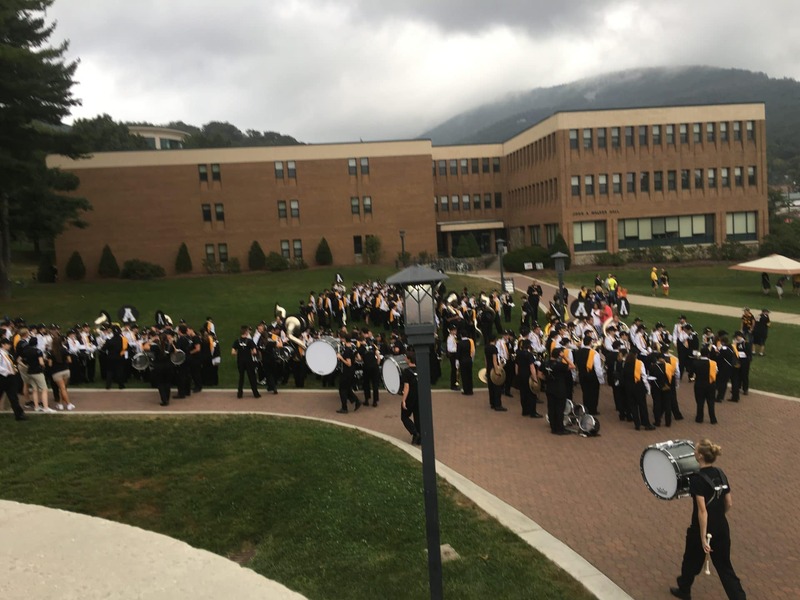 With a record breaking crowd of 34,658 in attendance at Kidd Brewer Stadium, there was a lot of excitement in the air as the Miami Hurricanes made their first ever trip to Boone. 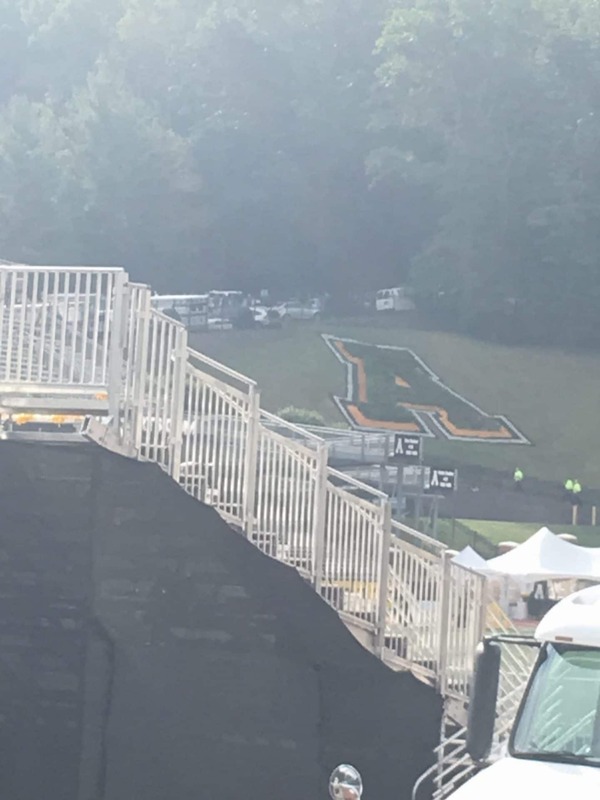 And though the Appalachian State Mountaineers lost 45-10, it will still be remembered as a historical event marking the first time a Power 5 school made the trip to the High Country. Below are some sights and sounds leading up to kickoff. 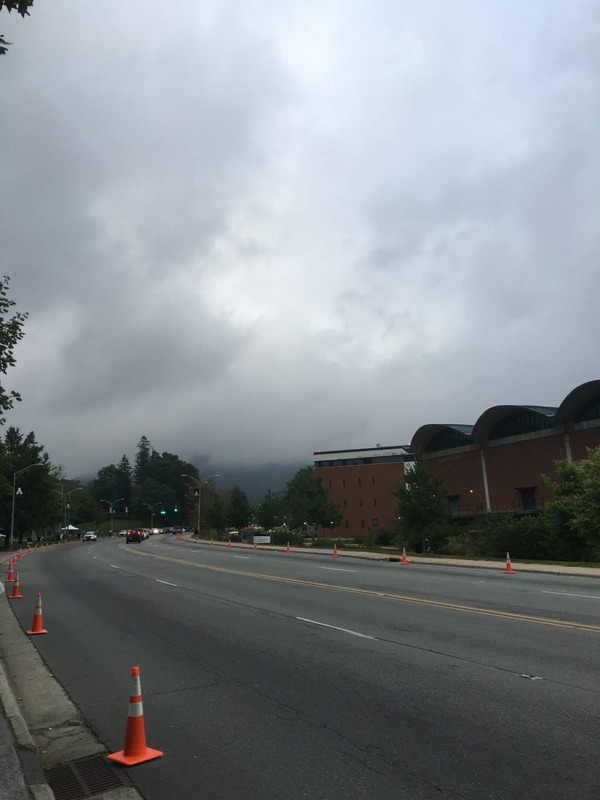 Fog and drizzle started off the morning around town and campus. Tailgating in full swing at 8:25am. The AppState band gearing up for game time. 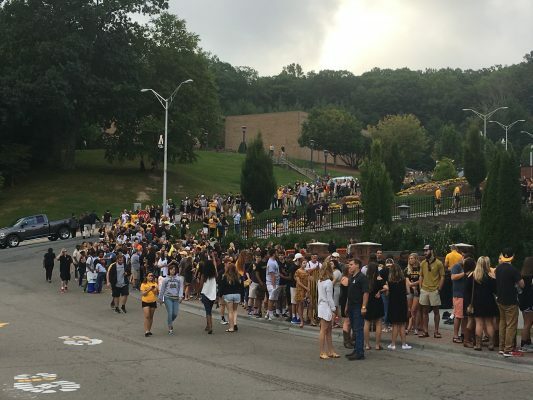 Long lines waiting to get in at 9:15am. 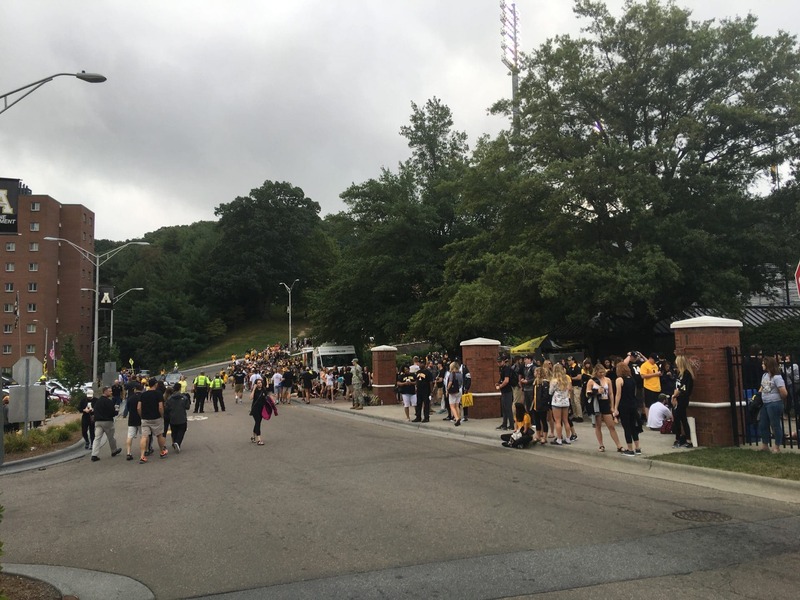 Many of these AppState students have been here since early Friday evening waiting to get in. 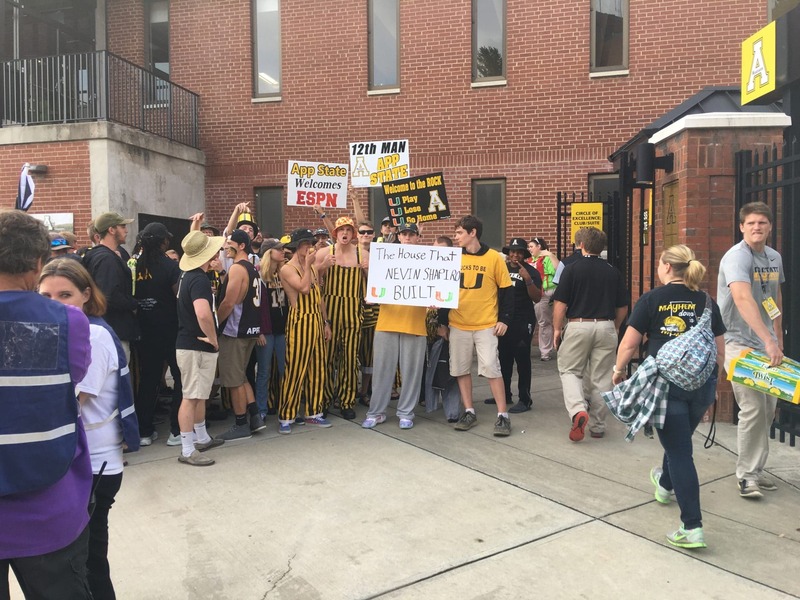 Fans are lined up way past the Quinn Center to get into AppState game at 9:43am. 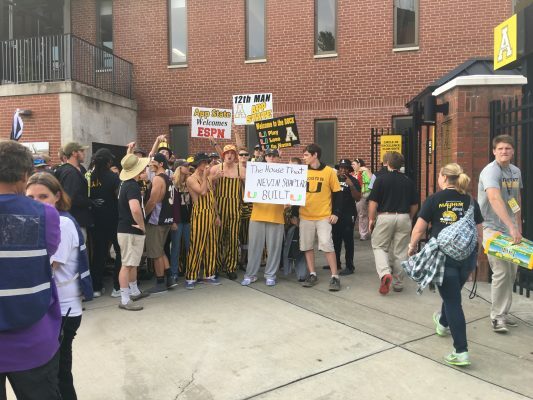 Students rushing to get their non-reserved seating picks.